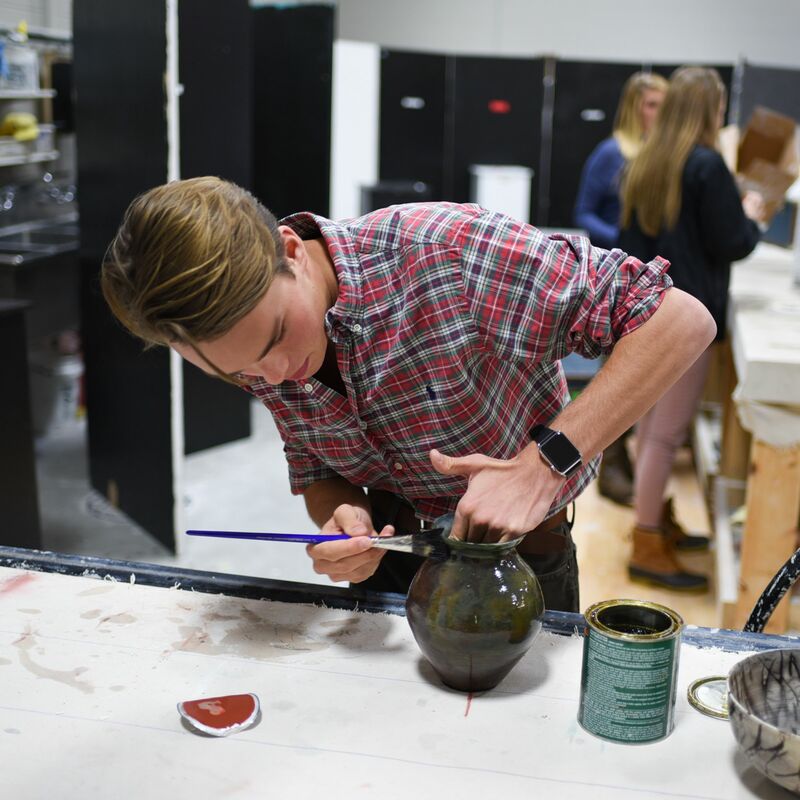 Trinity is a place where art is alive and student artists flourish. 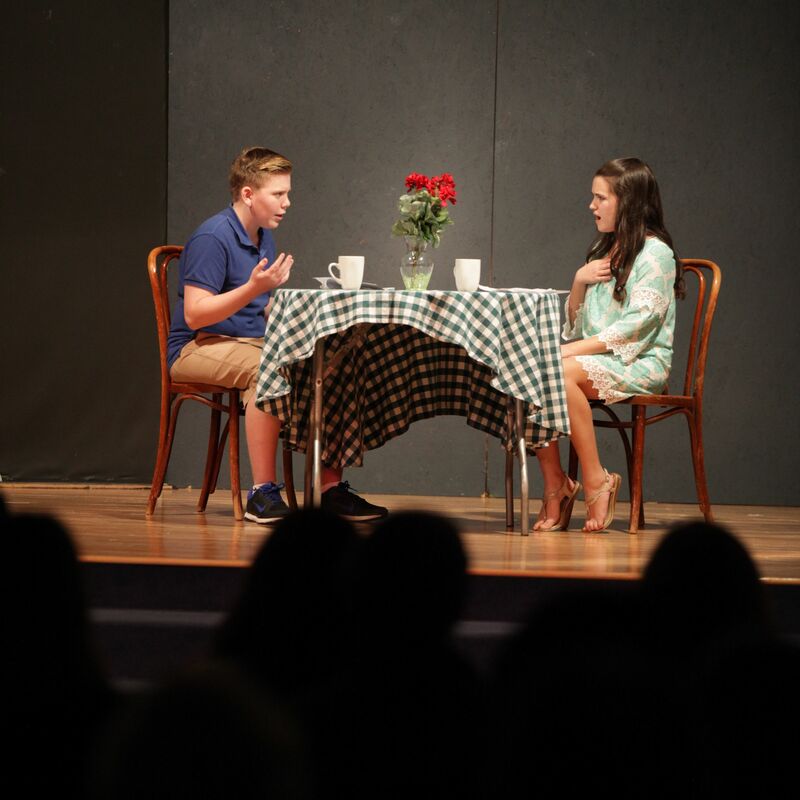 Student performers can be seen during lunch at Pach’s Place, on stage at Cabaret or in the theatre for a number of performances. 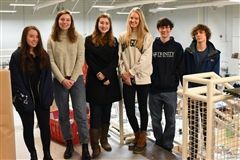 The student-run Art Club is also active on campus, bringing guest artists to campus, planning museum visits and infusing art into community service projects. 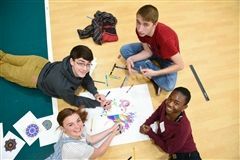 Visual and performing arts curriculum is designed to meet the needs of all students from those who want to explore possibilities of self expression to those who intend to pursue a more advanced, in-depth study in the arts. 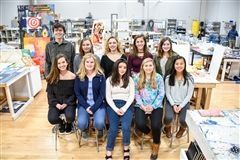 International Baccalaureate Visual Arts is a two-year program for candidates pursuing a full IB diploma or a single certificate in art. 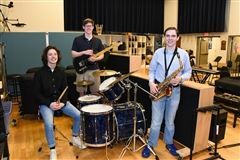 Trinity also offers IB courses in music. The Perkinson Arts Center is home to Trinity’s music, theatre and visual arts programs. Renovations to the space began in 2008 and wrapped up in the fall of 2017. The space is now home to a beautiful theatre, an expansive music wing and a spacious, collaborative visual arts studio. 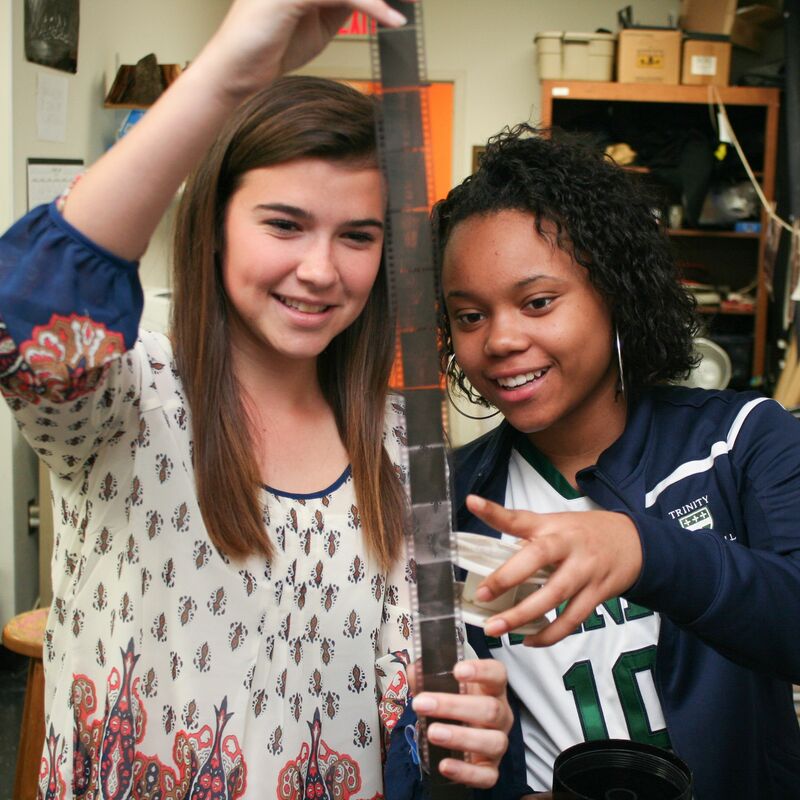 Photography classes are housed in Morgan Hall with a traditional darkroom and a digital photography lab. 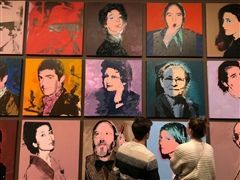 Over the course of the year, nearly 60% of students are taking courses in the arts. By graduation, all students will participate in at least two semesters of art, music and/or theatre. 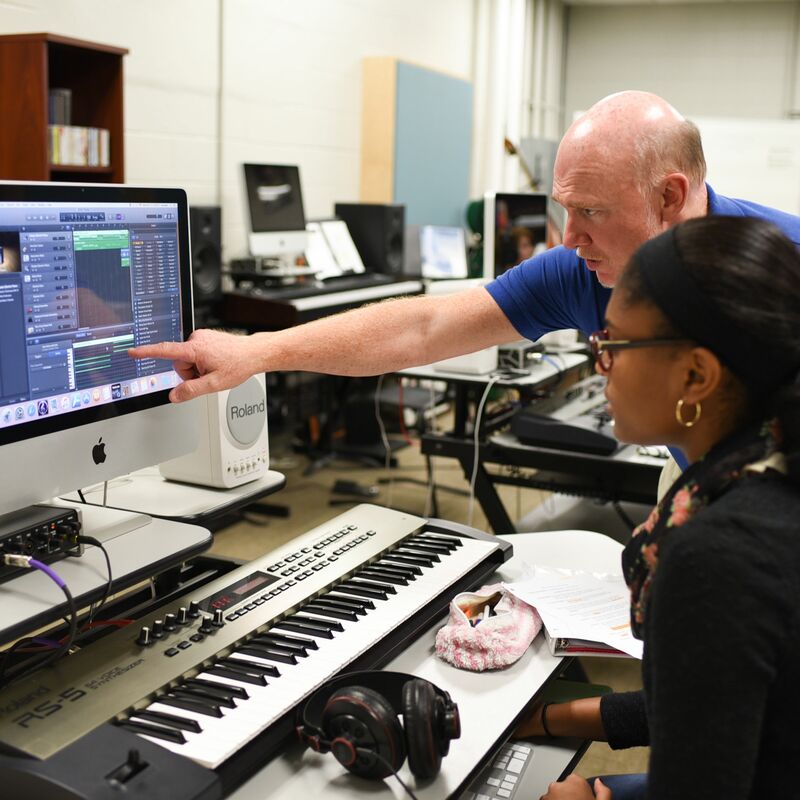 The curriculum includes photography, painting, drawing, ceramics, drama, theatrical design, beginning and advanced band, music theory and composition, digital music production and much more. Many are offered as IB courses. 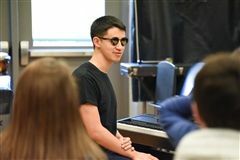 Three siblings find harmony in Trinity's music program and beyond. 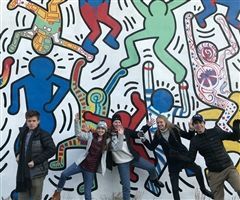 IB Art students probe the creative process in three-day exploration of the Philadephia art scene.